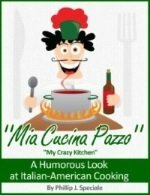 If you like my site then you'll love getting "Shut Up and Mangia! ", your personal copy of my free newsletter. This saying has lasted for generations in many Italian homes. A favorite among Parents and Grandparents everywhere. My Grandmother used to say "Mangia e statti zitto!". My mother used to say "Shut up and mangia! and I simply say "Shut up and eat!. They all work very well well when it's time for dinner. ...and new delicious recipes reserved only for our subscribers. Subscribe now for our next issue and continue receiving "Shut Up and Mangia!" once a month. Subscribe now for your first free issue and you will receive two free ebooks containing some great recipes to add to your collection. 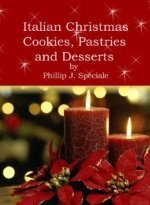 The first ebook is "Classic Dessert Collection", with over 400 old and new pie, cake and cookie recipes. 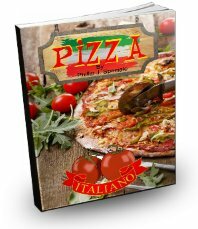 The second book is "Quick and Easy Cooking". 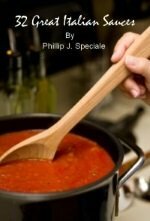 155 time saving recipes. These two recipe books should keep you busy for a while. I promise to use it only to send you Shut Up and Mangia!. Just so you know, once you hit the subscribe button you will receive a confirmation email asking you to confirm your subscription. Just click on the link in the email and soon you will be receiving my newsletter.